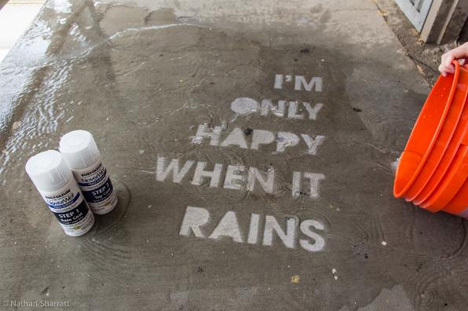 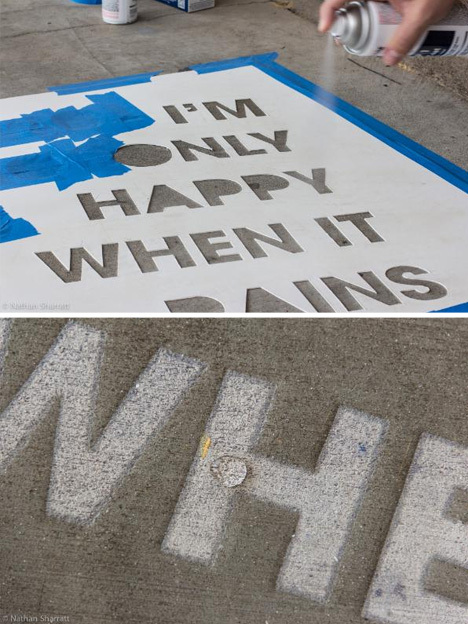 NeverWet has been making headlines as the silicon-based spray that repels liquids from clothes and electronics, but this off-book use shows another fascinating application that may be even longer-lasting: urban art invisible until poured upon. 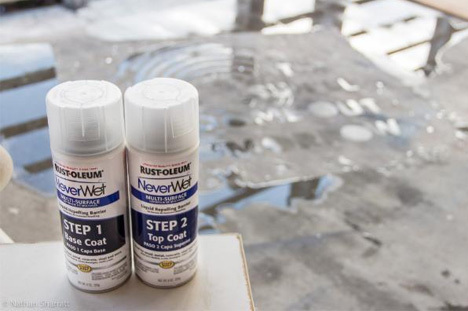 Given criticism of NeverWet when applied to shoes (apparently it can discolor or leave residue) and phones (touchscreen and durability issues have been reported), this may prove to be a more persistent, if unintended, long-term application of the product. 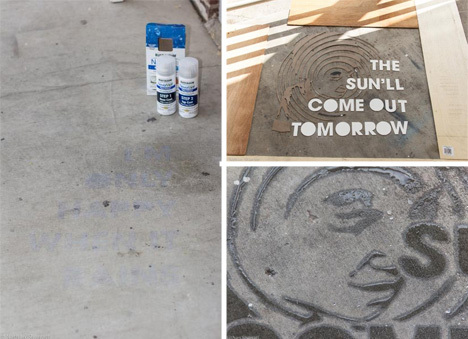 And for any interested subversive artists, it could prove a unusual boon when bothered by police: how will the authorities justify arresting someone for spraying an invisible coating on a public surface?